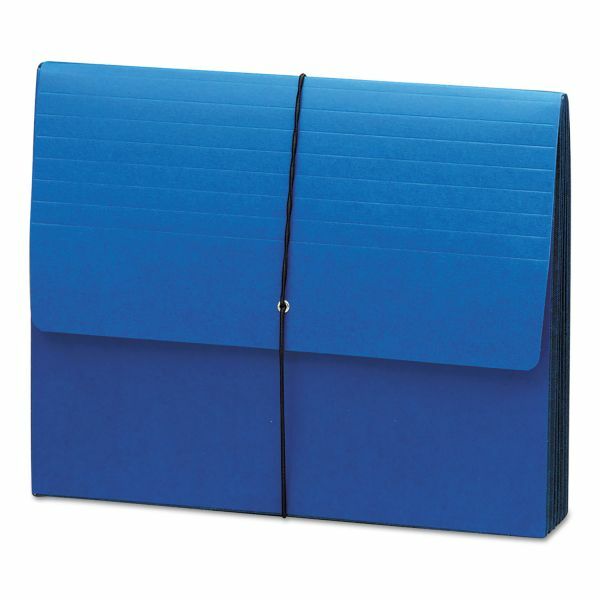 Smead Extra-Wide 5 1/4" Expansion Wallets, Letter, Navy Blue - Designed for shelf filing or on-the-go, this extra-wide wallet holds top-tab file folders neatly inside without bulging out the side gussets. Full-height Tyvek gussets are virtually tearproof. Protective flap with elastic cord closure offers extra security so it's perfect for use as a complete client file in law, advertising or architectural firms. Letter-size wallet expands to 5-1/4 and is made of acid-free, archive-quality colored stock."